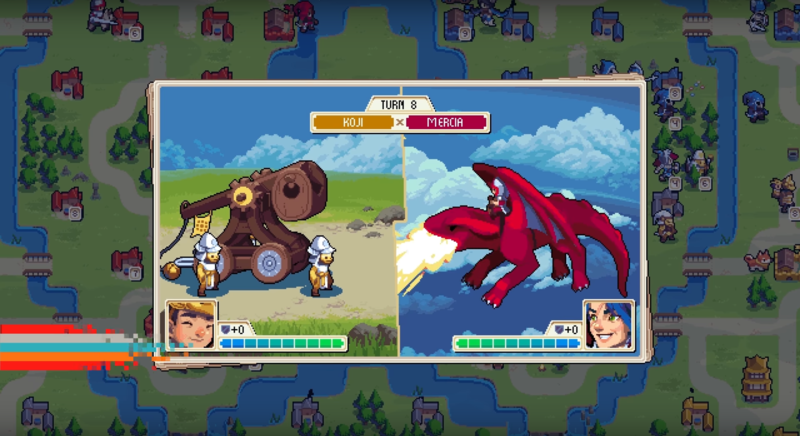 WarGroove is the newest Indie game from Chucklefish, a developer/publisher that can’t help but keep churning out hits. The strategy gameplay will immediately satisfy fans who, like me, sat hunched over their GBAs micromanaging tiny orange sprites. But wild difficulty spikes and somewhat inscrutable UI elements might confound old-hat COs and green recruits alike. 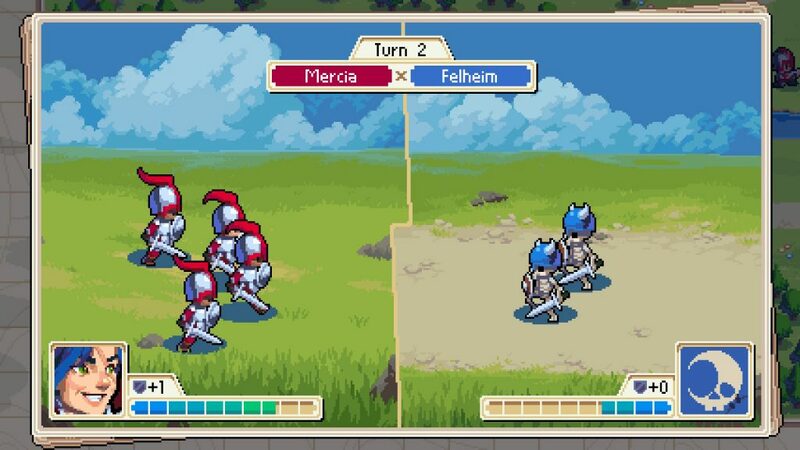 You could be forgiven for saying WarGroove looked like fantasy Advanced Wars, with a splash of Fire Emblem. It’s a largely true statement, albeit one ignorant of the wide belief that Fire Emblem killed the Wars series after 2008’s Days of Ruin on the Nintendo DS. Still, you gotta call ‘em like you see ‘em. The new Switch strategy title lifts the gameplay nearly wholesale from the Wars series. The result is undeniably fun and will almost make you forget the decade without a decent entry in this little sub-genre. The fantasy aesthetic is right up my alley. Give me dragons and alchemists over bombers and helicopters any day of the week. Plus, the main cast of commanders ooze personality and charm. 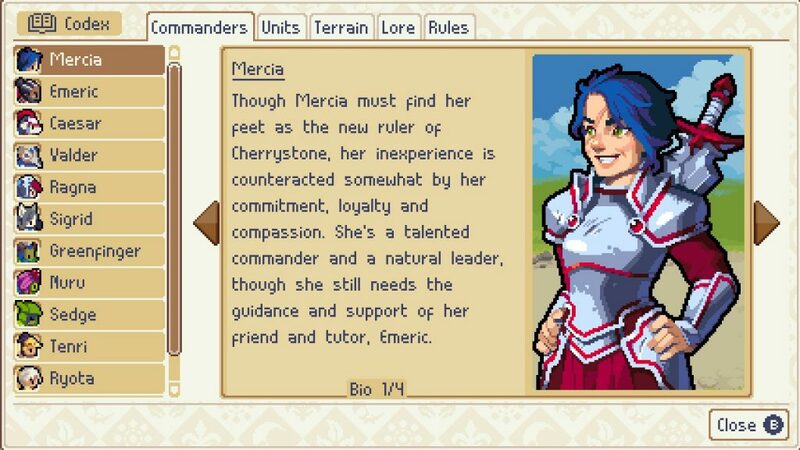 The ostensible protagonist, Queen Mercia, is a young warrior wielding a giant blade and a bigger heart. Her nemeses include frosty vampires, a hot-headed Frankenstein-esque berserker, and the skull-wearing, necromantic despot of the frozen wastes. Counted among her allies are secretive (and carnivorous) plant people, a boy genius piloting a mechanical golem, and Caesar, a battle-pup and goodest boy in the whole dang world. 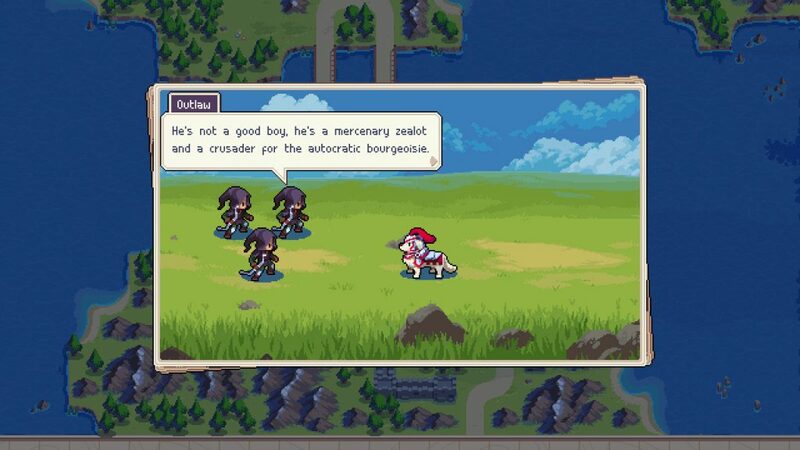 The kingdoms she encounters are monocultures in that way games without much narrative rope tend to have, but plot in Wargroove is largely a vehicle for the challenging scenarios. If you’re new, let’s break down the basics: you command units on a top-down map and are tasked with various objectives, ranging from traversing safely to the other side to complete annihilation of your enemy. Along the way, you will capture villages and barracks, which produce currency and units respectively. The coin produced by the villages is spent on units, but villages cannot protect themselves from enemy attacks and must rely on those units for protection. That’s the macro-level of each game. The more finite, nitty-gritty layer involves manipulating the terrain and unit types (both have wide variations) to your advantage in order to gain the upper hand against your foe. It’s a lot of number crunching and postulating that will become second nature as you try to conquer the more difficult meat of the game. And boy, does it get difficult. Perhaps the fifteen year interim has dulled my skills, but I found the game’s difficulty curve stupefying, if not actually demoralizing. Some missions would introduce a new type of unit, affording you some slack as you played around with your new toy. But the very next would throw you off the tricycle and into a charnel house where the tiniest mistake meant crushing defeat. One of the largest departures WarGroove takes from its predecessors is how it fields your commander alongside other units. Where previously your choice gave you access to a unique super-skill, commanders in WarGroove can attack, defend and deploy special moves called Grooves against your foes. They’re beefier than anything but the most expensive units and can really turn the tide of battle in your favor. But, they also have health and can be killed. These are named characters with importance to the game’s overarching plot, and their continued survival is a win/lose condition. You can choose to hold them off the front lines, but the game seems to be balanced around their power, so the scales will tip if you are precious with your leader. Losing a map 20-30 minutes in feels really, really bad. It doesn’t take much; park your commander one square inside the attack range of an archer or forget about that trebuchet towards the bottom, and you might face the defeat screen mere turns away from winning a mission. This might not be such a negative to lobby against the game if it didn’t play like an elaborate puzzle or chess match. Terrain and production facilities are predetermined, and while the enemy AI adapts really well to shifting strategies, a crafty player can outmaneuver them the same way every time. Bad calls with other units might mean losing a key defensive position or resource; a setback for sure, but you have time to recover and learn from your mistake. Lose your commander and it’s game over. You’re back to the beginning with no actionable knowledge gained. That’s what gets me, I think. Mistakes in games should be teachable moments. 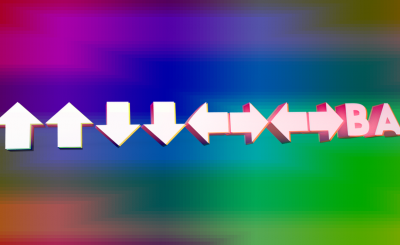 Show a player they made a bad call and then provide the space to immediately try again, using their hard-won insight to progress beyond this particular hurdle. 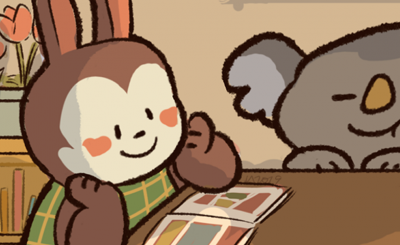 Instead, WarGroove makes you invest another half-hour returning to the spot of your possible misclick just to see if things go better this time. I’m certainly not garbage at tactics games, but restarting a main story mission six times out of pure spite is not how you want people engaging with your game. There is so much to love in WarGroove, from the gorgeous and bright art style to the memorable cast of characters on both sides of the conflict. The sprites bounce up and down on wonderful cartoon aesthetic maps, and the soundtrack won’t hardly wear your patience as you try the same map for the sixth time. While Caesar the Dog’s missions are among the most difficult, they also showcase unique play styles that diverge in super interesting ways from anything in the main campaign. Chucklefish has already assuaged a common complaint that information is obscured behind an often inscrutable UI by announcing a series of fixes and updates aimed at clarifying information. I just worry that the game’s spikes in difficulty will turn off players otherwise interested in what this brand of strategy can provide. Have I mentioned all of the alternate modes? 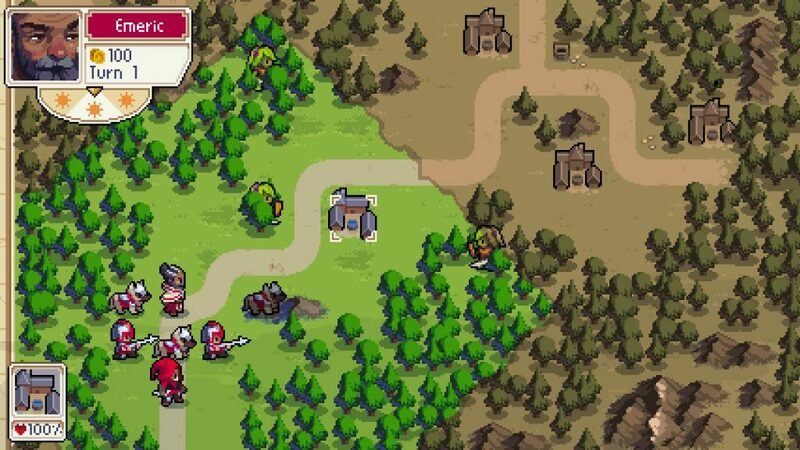 Not content with simply playing like Advance Wars, WarGroove contains editing tools allowing the creation of maps, missions and full-on campaigns. You can share these creations online and download the work of other players from within the game. Additionally, there’s a puzzle mode that offers special pre-set challenges, like defeating all enemies on the map in one turn. Both of these are welcome and filling side dishes to the main course. 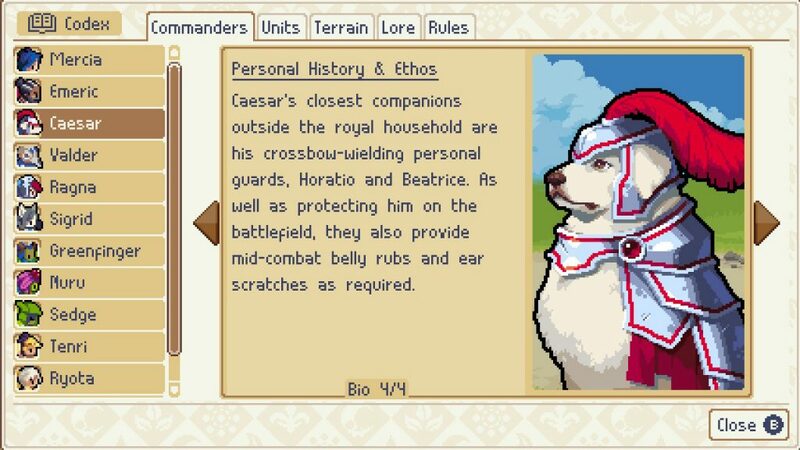 WarGroove scratches an itch I hadn’t indulged since sitting in the back of a church van on the way to Main Event, my GBA linked with four of my friends in what probably looked like a weird techno-ritual. 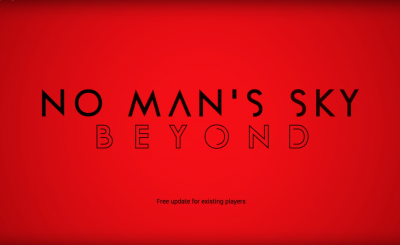 I hope the mountainous challenge of some maps doesn’t dissuade too many from enjoying a richly colored experience sure to delight returning fans and the newly interested.